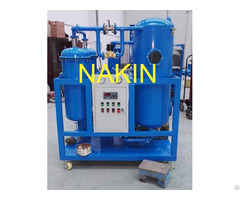 According to user’s requirements, we developed Series ZYM mobile insulating oil purifier, this machine is mainly used for dealing with unqualified transformer oil, switch oil, mutual inductor oil, ZYM belong to Double-stage transformer oil purifier can quickly remove water, trace water, gas, particles as well as acetylene, hydrogen, methane and other harmful ingredients from oil effectively to improve oil’s dielectric strength, effectively making sure electric equipments working safely and normally. Series ZYM oil purifier is particularly suitable for treating high-grade transformer oil, super-voltage transformer oil and new transformer oil. It can be used for filtration of more than 110V substation live line work onsite. 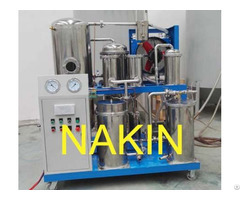 Meanwhile, Series ZYM oil purifier can be used as independent vacuum source with functions of vacuum drying and vacuum oiling. The best advantage of ZYM is that can move long distance working in field. 1. Mobile (trailer) type, completely closed structure, waterproof, dustproof, move easy. 2. Installation of car tyres, Bridge shock absorber, braking system and steel welding of entire trailer guarantee 60km/h speed. Mobile (trailer) type, completely closed structure, waterproof, dustproof, it can move long distance working in field.